HMS Repulse was a Renown-class battlecruiser of the Royal Navy built during the First World War. Originally laid down as an improved version of the Revenge-class battleships, her construction was suspended on the outbreak of war because she would not be ready in a timely manner. Admiral Lord Fisher, upon becoming First Sea Lord, gained approval to restart her construction as a battlecruiser that could be built and enter service quickly. The Director of Naval Construction (DNC), Eustace Tennyson-D'Eyncourt, quickly produced an entirely new design to meet Admiral Lord Fisher's requirements and the builders agreed to deliver the ships in 15 months. They did not quite meet that ambitious goal, but the ship was delivered a few months after the Battle of Jutland in 1916. Repulse, and her sister HMS Renown, were the world's fastest capital ships upon completion. Lai Teck, was a leader of the Communist Party of Malaya and Malayan People's Anti-Japanese Army. A Vietnamese of mixed Sino-Vietnamese descent, Prior to his arrival in Malaya, Lai Teck was believed to have led his life as Truong Phuoc Dat until 1934, during which Dat disappeared and Lai Teck appeared. The agreement between the MCP and the British was that the MCP would recruit, and the British would provide training to resistance groups. Also, the trained resistance fighters would be used as the British Military Command saw fit. The recruits were to undergo training in sabotage and guerilla warfare at the 101 Special Training School (STS) in Singapore, operated by the Malayan wing of the London-based Special Operations Executive (SOE). On 19 December 1941, the MCP also brought together various anti-Japanese groups, organizations such as the KMT and the Chinese Chamber of Commerce, under a broad front called the "Overseas Chinese Anti-Japanese Mobilisation Federation" (OCAJMF) with Tan Kah Kee as the leader of its "Mobilization Council". The OCAJMF became a platform to recruit Chinese volunteer soldiers to form an independent force, which would be later known as Dalforce. The MCP contributed the most soldiers to Dalforce, although it had also received volunteers from the KMT and other independent organizations. Dalforce was disbanded upon Singapore's surrender to the Japanese on 14 February 1942. Tan Kah Kee, also known as Chen Jiageng, was a Chinese businessman, community leader, communist and philanthropist active in Southeast Asia, Hong Kong, and various Chinese cities such as Shanghai, Xiamen, and Guangzhou. A prominent figure in the overseas Chinese community in Southeast Asia in the 20th century, he was responsible for gathering much support from the community to aid China in major events such as the Xinhai Revolution (1911), the Kuomintang's Northern Expedition (1926–28), and the Second Sino-Japanese War (1937–45). Apart from donating most of his assets and earnings to aid China in those major events, Tan set up funds in Southeast Asia and Hong Kong and contributed to the establishment of several schools in Southeast Asia and China's Fujian Province, including Xiamen University. Dalforce, or the Singapore Overseas Chinese Anti-Japanese Volunteer Army was an irregular forces/guerrilla unit within the British Straits Settlements Volunteer Force during World War II. Its members were recruited among the ethnic Chinese people of Singapore. It was created on 25 December 1941 by Lieutenant Colonel John Dalley of the Federated Malay States Police Force. The unit was known to the British colonial administration as Dalforce, after its chief instructor and commanding officer, John Dalley, whereas the Chinese in Singapore only knew it as the Singapore Overseas Chinese Anti-Japanese Volunteer Army. This formation took part in the Battle of Singapore and some members conducted a guerrilla campaign against Japanese forces during the Japanese occupation. Kuala Lumpur, officially the Federal Territory of Kuala Lumpur or commonly known as KL, is the national capital and largest city in Malaysia. As the global city of Malaysia, it covers an area of 243 km2 (94 sq mi) and has an estimated population of 1.73 million as of 2016. Greater Kuala Lumpur, also known as the Klang Valley, is an urban agglomeration of 7.25 million people as of 2017. It is among the fastest growing metropolitan regions in Southeast Asia, in both population and economic development. In August 1942 Lai Teck arranged for a full meeting which included the MCP's Central Executive Committee, state party officials, and a group leaders of the MPAJA at the Batu Caves, about ten miles from Kuala Lumpur. The party meeting was then held in a small village near the caves. At daybreak of 1 September 1942, Japanese forces surrounded and attacked the village where the MCP and MPAJA leaders were resting. Caught by surprise, the ambush ended with 92 members of the resistance dead. Among those who were killed, 29 were top-ranking party officials which included 4 MPAJA "Political Commissars". The Batu Caves Massacre had effectively wiped out the entire pre-war leadership of the MCP and influential members of the MPAJA. 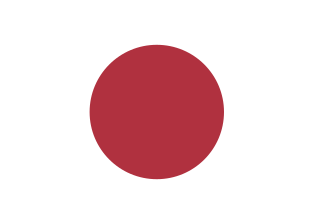 By late 1943 many of the veteran Japanese soldiers were replaced by fresh units which were less successful in executing counter-insurgency operations against the MPAJA. Meanwhile, the MPAJA were able to gain sympathy and widespread support among the Chinese communities in Malaya, who supplied them with food, supplies, intelligence and also fresh recruits. The main link and support organization which backed the MPAJA was the Malayan People's Anti-Japanese Union (MPAJU). The MPAJU pursued an open policy of recruiting people regardless of race, class, and political belief as long as they were against the Japanese regime. Therefore, members of the MPAJU were not necessarily Chinese or communists. All eight independent regiments took orders from the Central Military Committee of the MCP. Therefore, the MPAJA was de facto controlled by the Communist leadership. Each MPAJA regiment comprised five or six patrols, and the average regimental strength was between 400 and 500 members. The 5th Regiment was considered the strongest under the leadership of Chin Peng, then-Perak State Secretary of the MCP, and Colonel Itu (aka Liao Wei Chung). There was no class distinction in the MPAJA. Each member addressed each other simply as "comrade", including the Chairman of the Central Military Committee. Although the MPAJA was directly controlled by the MCP leadership, many members were not communists, contrary to popular belief. Many had signed up for the MPAJA because of their resentment towards the Japanese army's brutal treatment of civilians. In Ban and Yap’s book Rehearsal for War: The Underground War against the Japanese, both authors argued that “while the MCP cooperated with the British against the more immediate threat from the Japanese, it never detracted from its aim of seizing power” and that its ultimate aim “right from the formation of the party in April 1930… is a communist Malaya”. Although the MPAJA was officially a separate organization from the MCP, it was claimed that “from the start the Malayan Communist Party sought to exert an authoritarian and direct control…with Liu Yao as Chairman to oversee the activities and direction of the MPAJA”. The Central Military Commission, which was “reorganized to take full control of the MPAJA”, was headed by MCP leaders “Lai Teck, Liu Yao and Chin Peng”. Furthermore, the MPAJA deliberately kept “open and secret field units”, whereby “portions of the MPAJA field units were carefully kept out of sight, husbanded as reserves for a future conflict.”  One example was the comparison between the “open” 5th Independent Regiment based in Perak which was the strongest and most active in Malaya, and the “secret” 6th Regiment in Pahang which was as well-equipped but “had a less aggressive stance”. In fact, according to Ban and Yap, “within a year of the fall of Malaya it was obvious [to the MCP]… that the return of the British was inevitable” and that the “MCP was ready to contend with its former colonial rulers.”  Although “clashes between the MPAJA and the Japanese Occupation Army occurred, these never threatened the overall Japanese control of the peninsula” as the “MPAJA was conserving its resources for the real war against colonialism once the Japanese were evicted.”  Therefore, the authors suggest that the MPAJA’s main enemy was all along the British, and its main purpose was to wrestle independence from the British rather than to resist the Japanese. Chin Peng, former OBE, born Ong Boon Hua was a Malayan communist politician who was a long-time leader of the Malayan Communist Party (MCP). A determined anti-colonialist, he led the party's guerrilla insurgency in the Malayan Emergency, fighting against British and Commonwealth forces in an attempt to establish an independent communist state. After the MCP's defeat and subsequent Malayan independence, Chin waged a second campaign against Malaya and, after 1963, the new state of Malaysia in an attempt to replace its government with a communist one from exile, until signing the Peace Agreement of Hat Yai 1989 with the Malaysian government in 1989. Lim Bo Seng was a Chinese resistance fighter based in Singapore and Malaya during World War II. He is celebrated as a war hero in Singapore. Force 136 was the general cover name for a branch of the British World War II organisation, the Special Operations Executive (SOE). The organisation was established to encourage and supply resistance movements in the enemy-occupied territory and occasionally mount clandestine sabotage operations. Force 136 operated in the regions of the South-East Asian Theatre of World War II which were occupied by Japan from 1941 to 1945. The Briggs' Plan was a military plan devised by British General Sir Harold Briggs shortly after his appointment in 1950 as Director of Operations in the anti-communist war in Malaya. The plan aimed to defeat the Malayan communists, who were operating out of rural areas as a guerrilla army, primarily by cutting them off from their sources of support amongst the population. To this end, a massive program of forced resettlement of Malayan peasantry was undertaken, under which about 500,000 people were eventually removed from the land and interned in guarded camps called "New Villages". The Federation Regiment was an attempt by British General Gerald Templer to form a multiracial infantry regiment of the Malayan Federation Army. The Malayan National Liberation Army (MNLA), often mistranslated as the Malayan Races Liberation Army or MRLA, was a guerrilla army based in the Malayan peninsula and Singapore. It originally fought the Japanese during the second world war as the Malayan People's Anti-Japanese Army (MPAJA), from 1948-1960 it fought British and Commonwealth forces for an independent Malaya. In 1968 the MNLA resurged operating from Southern Thailand it fought against the Malaysian government in various areas of the Malayan jungle mainly in the North. In 1989 the Malayan Communist Party signed a peace treaty with the Malaysian state and the MNLA and the Party settled in villages in southern Thailand. Rashid Maidin, sometimes given as Rashid Mahideen, was a senior leader of the Communist Party of Malaya (CPM). Tan Sri Dr. Too Chee Chew （杜志超）P.S.M., M.B.E., J.M.N., better known as C. C. Too, was a major exponent of psychological warfare in Malaysia. 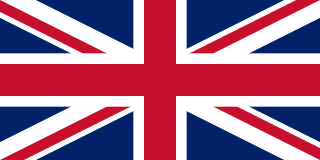 The British Military Administration (BMA) was the interim administrator of British Malaya from August 1945, the end of World War II, to the establishment of the Malayan Union in April 1946. The BMA was under the direct command of the Supreme Allied Commander South East Asia, Lord Louis Mountbatten. The administration had the dual function of maintaining basic subsistence during the period of reoccupation, and also of imposing the state structure upon which post-war imperial power would rest. This article is about the extent of terrorism in Malaysia, including historical background, laws concerning terrorism, incidence of terrorism and international terrorism from the Malaysian perspective. Lau Yew was a prominent member of the Malayan Communist Party. He was a high-ranking commander in its military arm during World War II, the Malayan Peoples Anti-Japanese Army. Eu Chooi Yip was a prominent member of the anti-colonial and Communist movements in Malaya and Singapore in the 1950s and 60s. Eu Chooi Yip was born in Kuantan, Malaysia. Ferret Force was a counter-insurgency unit formed by the British and Malayan authorities as part of their response to the communist insurgency during the Malayan Emergency. The unit only existed for six months, but was to help establish doctrine for British operations in the jungle. There were several Anti-Japanese groups in British Malaya during the Japanese Occupation. During this period, many groups were formed due to the alleged Japanese mistreatment of locals which caused discontent throughout the region. These were called anti-Japanese groups, the source of many anti-Japanese movements reflecting the local resentment of the time. Southern Rhodesia, then a self-governing colony of the United Kingdom, sent two military units to fight with the Commonwealth armed forces in the Malayan Emergency of 1948–60, which pitted the Commonwealth against the Malayan National Liberation Army (MNLA), the military arm of the Malayan Communist Party. For two years, starting in March 1951, white Southern Rhodesian volunteers made up "C" Squadron of the Special Air Service (SAS). The Rhodesian African Rifles, in which black rank-and-filers and warrant officers were led by white officers, then served in Malaya from 1956 to 1958. 1 2 3 4 Lee, T. H. (1996). 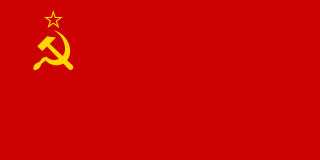 The Basic Aims or Objectives of the Malayan Communist Movement. In T. H. Lee, The Open United Front: The Communist Struggle in Singapore (pp. 2-29). Singapore : South Seas Society. 1 2 3 4 5 6 7 8 9 10 11 12 13 14 15 16 17 18 19 20 21 22 23 24 25 26 27 28 29 30 31 32 33 Cheah, B. (1983). Red Star Over Malaya. Singapore: Singapore University Press. 1 2 3 4 5 6 7 8 9 10 11 12 13 14 15 16 17 18 Cooper, B. (1998). The Malayan Communist Party (MCP) and the Malayan People's Anti-Japanese Army (MPAJA). In B. Cooper, Decade of Change: Malaya and the Straits Settlements 1936-1945 (pp. 426-464). Singapore: Graham Brash. 1 2 3 4 5 6 7 8 9 10 11 12 13 14 15 16 17 18 19 20 Ban, K. C., & Yap, H. (2002). 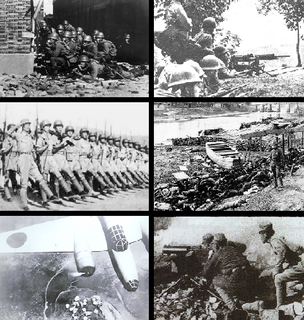 Rehearsal for War: The Underground War against the Japanese. Singapore: Horizon Books. ↑ Chapman, Spencer (2003). The Jungle Is Neutral. Guilford, Connecticut: Globe Pequot Press. ↑ Hanrahan, Gene (1971). The Communist Struggle in Malaya. Kuala Lumpur: University of Malaya Press. 1 2 3 4 5 Tie, Y., & Zhong, C. (1995). An Account of the Anti-Japanese War Fought Jointly by the British Government and MPAJA. In C. H. Foong, & C. Show, The Price of Peace: True Accounts of the Japanese Occupation (pp. 45-63). Singapore: Asiapac Books. ↑ Bayly, C., & Harper, T. (2004). Forgotten Armies: The Fall of British Asia, 1941-1945. London: Penguin Group. ↑ Lim, P., & Wong, D. (2000). War and Meory in Malaysia and Singapore. Singapore: Institute of Southeast Asian Studies.